Choosing warm and stylish outfits will be anything but a chore this winter with these stunning staple dresses. Our edit has many chic and versatile dresses to see you through the cold of winter. Perhaps you’re dressing for work or a more formal occasion. Here is where you’ll find those key pieces your wardrobe requires for the season ahead. These particular staple dresses are ideal for layering and will keep you thoroughly warm and cosy. It’s no secret we all love throwing on a simple, stylish jumper to layer up for a chilly day. Why not do it in dress form? 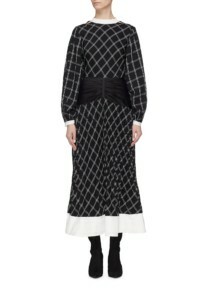 The black roll neck knitted dress by Noisy May is just about the most versatile dress we’ve ever seen. Incredibly comfortable and easy to dress up or down this amazing dress has a loose fit and batwing sleeves. It’s a dress you can simply slip on and go, knowing you’ll feel snug and on trend all day long. This dress is ideal for layering and goes with absolutely everything. This shall certainly be your new favourite LBD for winter. 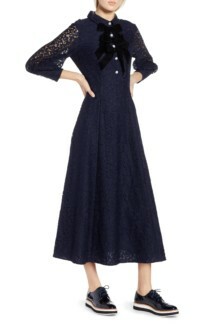 Alternatively, there’s the aptly named Donegal snow dress by Madewell. This dress appears like freshly fallen snow which is perfect for the season ahead. There is also button detailing down each sleeve which with the crew neckline keeps the overall look nicely casual. 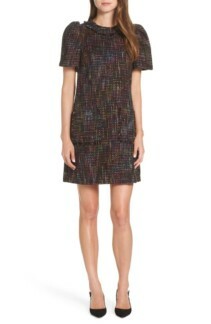 Staple dresses are understandably, often on the plainer side when it comes to prints and patterns. For those of us with a more experimental nature, this isn’t always ideal. 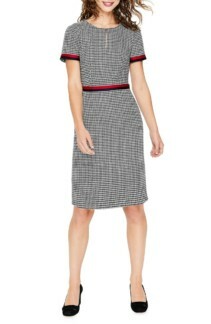 So, in substitute of a print, try opting for plainer dresses that incorporate an interesting texture. 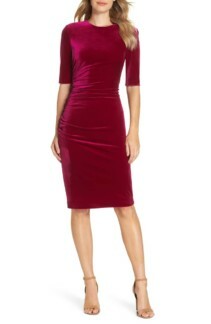 Something just like the black velvet sheath dress by Michael Kors for example. This flexible stretch dress slips on with no fuss and is perfect for parties. It’s plain black design means it can easily be worn time and again. 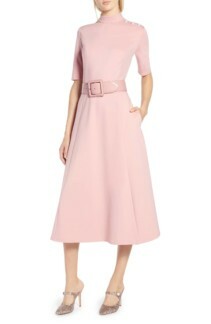 Not to mention the long sleeves and high jewel neckline are incredibly chic. For a more casual affair there’s the pleated, cutout denim mini dress by Oscar De La Renta. 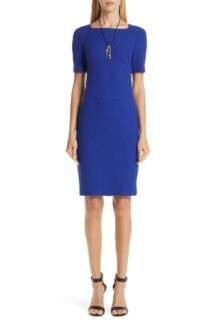 Its exemplary, form flattering shape will make you want to wear this dress repeatedly. Thanks to an elegantly simple, versatile design, you certainly can.